Are you shy or nervous when it comes to kissing? Want an easy way to improve your technique from the inside out? A kiss can be a simple sign of affection, or the prelude to something much more exciting. Knowing the best way to stimulate your partner takes confidence and skill, giving you the power to turn them on with even the simplest touch. 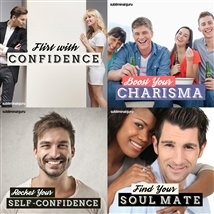 With the Kiss with Confidence subliminal session, you'll unleash your natural kissing talents from within! 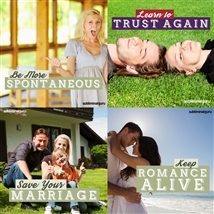 As you listen, thousands of powerful potent affirmations will change your thinking, helping you kiss like a champion. You'll use your lips and tongue in sensitive and provocative ways, guaranteed to elicit the appropriate response. You'll instinctively know what to do, letting your mouth transmit gentle but passionate feelings to your partner. 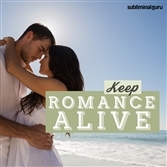 Download the Kiss with Confidence subliminal audio now to take your kissing skills to the next level. Kissing is easy for me. My lips are sensitive and responsive. I kiss with passion and purpose. My kissing technique is amazing. I am a truly confident kisser. People admire my kissing skills. My kisses get positive responses. I keep my mouth and teeth healthy. My kisses are full and sensual. I kiss gently and warmly. I'm a naturally confident kisser.